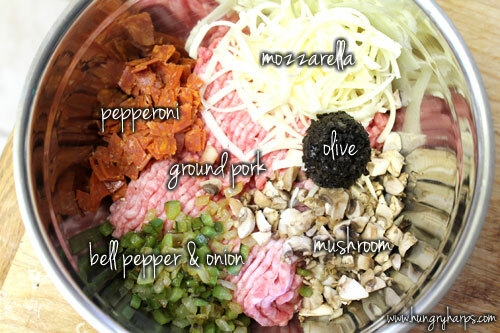 But anyhow, let’s get to these Pizza Meatballs! So, when I was brainstorming what meatballs I could cook for this week I started thinking about what foods I really LOVE – and of course pizza came to mind. 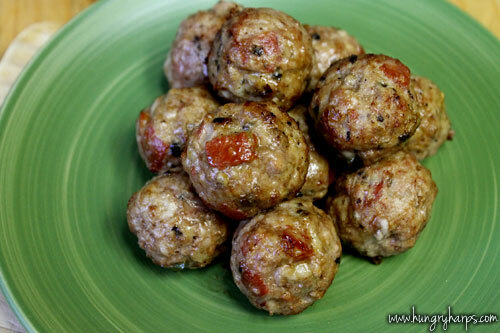 It was a no brainer – I had to cook some Pizza Meatballs! These lovelies are packed with pepperoni, green bell pepper, onion, olive, cheese and mushrooms - all held together with ground pork. Delicious! Serve them with some marinara sauce to complete the flavor. An afterthought (darn 20/20 hindsight…) was to sprinkle grated parmesan cheese and red pepper flakes to the top of the Pizza Meatballs before serving. 1. Heat olive oil in skillet over medium-high heat. Saute onions and green bell peppers until soft – about 7 minutes. Remove heat and set aside. 4. 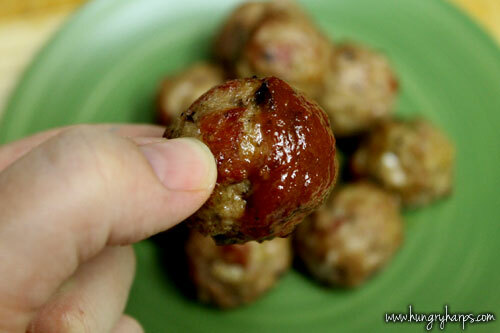 If using meatball bbq rack – cook for 15-20 minutes on medium-high heat, flipping every 5 minutes. If cooking in oven – bake for 20-25 minutes or until starting to turn golden brown. 5. Serve with marinara sauce and enjoy!